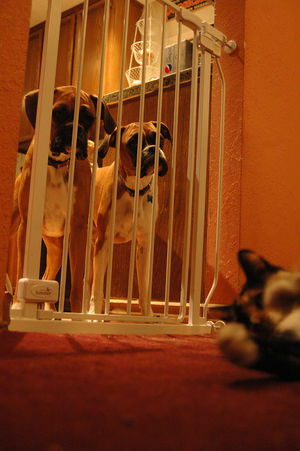 The Pet Wiki > Pet Behavior > Do Pets Feel Jealousy and Guilt? April 27, 2015 Comments Off on Do Pets Feel Jealousy and Guilt? Does you pet get upset when you show attention to someone else, 2-legged or 4-legged? While their emotions may not be as complex as ours, we as animal lovers have always known that our pets are feeling creatures. Not that we needed confirmation, but we have validation from studies performed by scientists and animal behaviorists. Our pets express their emotions a bit differently than we do. As an example, your dog or cat has been the only pet in the house and has had your complete attention. Suddenly, you introduce a new baby, a partner or a new pet to the household. Some of your attention is focused on this new being. Your pet begins to feel left out, his number one spot in your life is being usurped by a stranger. He feels threatened and may become destructive or show some aggression. 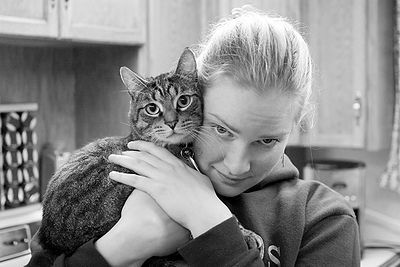 Gradual introductions over a period of time will help alleviate your pet’s fears and help to minimize any show of aggression. Check our articles on introducing a new baby or a new pet to the home. Continue to give your pet attention and time. Never leave a new baby or a new pet alone with the older pet. If despite all your attempts, the jealous behavior continues, consult with your veterinarian and/or an animal behaviorist. On a personal note: Whenever I pet one of my dogs or attempt to train one and give a treat, the others will immediately seek my attention. Their feelings of jealousy may not be on the same level as ours can be, but they feel them just the same and demonstrate that emotion that’s hard to miss. While we’re on the subject of pets and emotions, do they feel guilt? I don’t know about cats mainly because they probably feel they have nothing to be guilty about. Never punish your pet for unacceptable behavior. It doesn’t work. 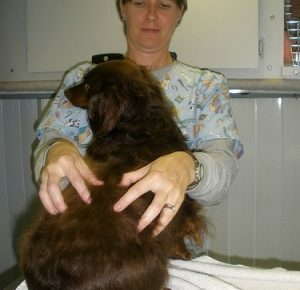 Instead, using positive methods, praise and treat your pet when he does something correctly.